Autumn has certain foods associated with it, apple pie, roast turkey, etc. 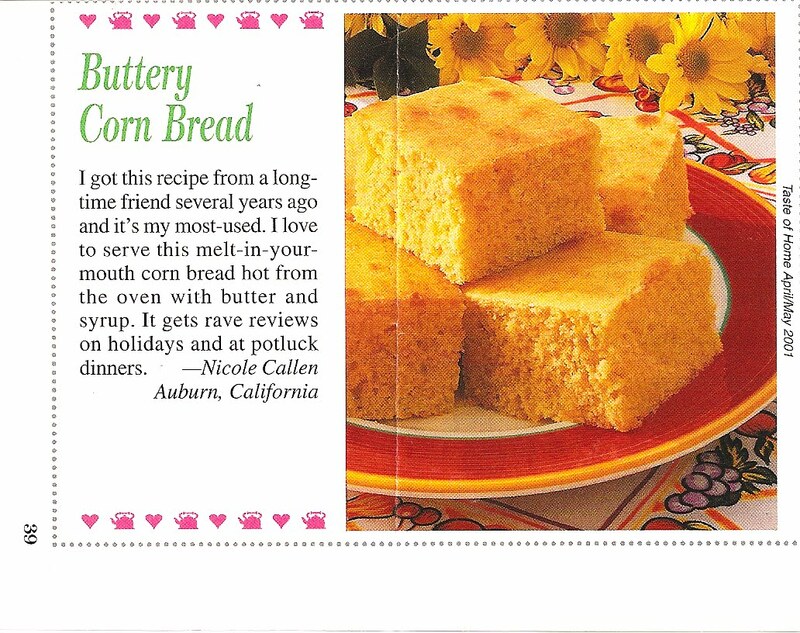 For some reason, I always wait until fall to make cornbread. 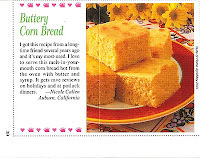 If you like your corn bread on the... cornier side... (sorry, that sounds like something Grampy Chuck would have said), switch the measurements for the flour and the cornmeal. -In mixing bowl, cream butter and sugar. -Mix in flour, cornmeal, baking powder and salt. -Pour into greased 13" x 9" baking pan. -Bake at 400 degrees for 22-27 minutes.